We asked industry experts the most common questions regarding the differences between these two machine components and their usability to help our customers and their teams make the best choices for their projects. Q: Why is the difference between lead screws and ball screws so important? A: First and foremost, it comes down to mechanics. Even though both types of screws are mechanical linear actuators and can be used in seemingly similar situations, each project engineer needs to consider the back drive, backlash, thrust, speed, lead accuracy, and efficiency required for the mechanism. 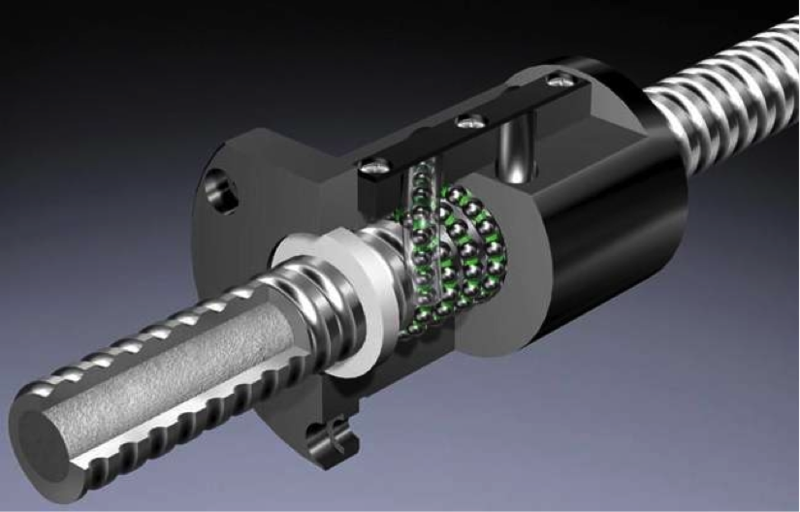 Ball screws get their name from the ball bearings that minimize friction and optimize efficiency, while lead screws use sliding surfaces for high friction. Q: What are the benefits and uses of lead screws and ball screws? A: Lead screws are quiet, smooth, resistant to corrosion, self-lubricating, and often less expensive. They’re favored in situations that require higher levels of customization. Because lead screws are virtually silent and vibration-free, they’re often used for medical equipment like insulin pumps and in personal computing devices like desktop PCs. Ball screws, though nosier, can carry heavier loads than their lead screw counterparts, don’t self-lock, aren’t as rigid as lead screws, and tend to offer significantly higher efficiency, precision, and accuracy. Ball screws are commonly used in aircraft, power steering, robots, and semiconductors. Q: What are the different requirements for moving and stopping between lead screws and ball screws? A: Because lead screws are self-locking, there’s typically no need to apply additional brakes, even in situations where you’re lifting a vertical load during an electricity outage. However, the higher the friction is on the sliding surface, the more power is required to drive the load up or forward. Ball screws can turn straight motion into rotational motion, and vice versa. Because they have ball bearings that reduce friction, less motor power is usually required to drive them. Q: What are the top factors an engineer should consider when choosing between a lead screw and a ball screw? A: Choosing between a lead screw and a ball screw is relative and will likely depend on the application. For example, on a vertical application, it may be more beneficial to use a lead screw than a ball screw, as the lead screw cannot back drive itself. However, in a horizontal orientation, where no external force is being exerted on to application, it would be beneficial to use a ball screw because you don’t have to worry about it being back driven by gravity. Have more questions on the differences and applications of lead screws and ball screws? Feel free to leave questions and comments below, or call a product specialist at 800-681-7475! Previous PostEasy Maintenance Tips for Your Rotary BearingsNext Post What are diamond locating pins and should I be using them?